The Ghats are the wide stone steps that leads down to the river for almost 5 km along the west bank of the River Ganges in Varanasi. Thousands of pilgrims and devotees visit these Ghats to meditate and purify themselves by taking a bath in the holy river Ganges. Behind the Ghats rise the magnificent superstructure of temples, havelis, domes and minarets of mosques. Viewing the ghats early in the morning from a boat on the river can be an unforgettable experience. In the early morning the mist clears, the light is brighter and the ghats reverberate with the chant of mantras, the sound of bells and the cries of the vendors. 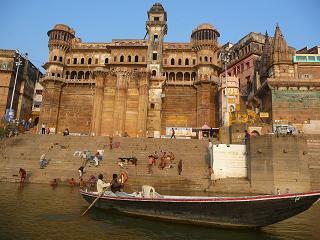 Varanasi has about 100 ghats. 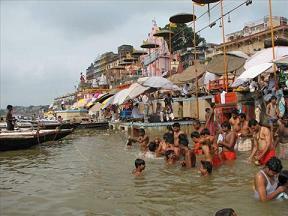 Many are bathing ghats but at the others, cremations are conducted. Many of these ghats were built when the Marathas controlled the city and the Scindias, the Peshwas, Holkars and Bhonsles stand out as patrons of Varanasi. Even today many of the ghats are privately owned. The Shivala or Kali Ghat is still owned by the former Maharaja of Varanasi. The main bathing ghats are Assi, Dasaswamedh, Barnasangam, Panchaganga and Manikarnika. To bath at these five ghats in this order in a day is known as the Panch Tirtha Yatra. Various legends are associated with the ghats. It is believed that at Dasaswamedh Ghat Lord Brahma sacrificed 10 horses in a yagya. At the Manikarnika Ghat Lord Vishnu is said to have dug a pit with his chakra and while performing various penances filled it with his perspiration. As Lord Shiva watched him, his earring (manik) fell into the pit - giving the ghat the name of Manikarnika. This ghat is associated with Goddess Parvati. The five rivers are supposed to meet at the PanchGanga Ghat. Lord Vishnu's footprints are said to be preserved at Chakrapushkarini. 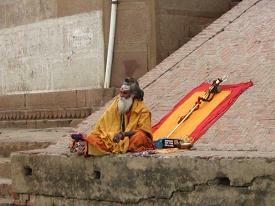 Another interesting Ghat to visit is the Man Mandir Ghat. This Ghat was built in the year 1770 by Sawai Jai Singh of Jaipur. 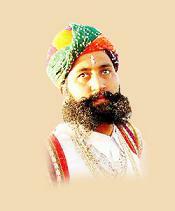 The Mansarover Ghat was also built by Man Singh of Amber. The Bachraj Ghat is used by Jain devotees for it has three river bank Jain temples. Manikarnika and Harishchandra ghats are used mainly for the cremation of the dead. Other important ghats include the Hanuman Ghat with the Hanuman temples and Kanchi Kam Kotishwara. The Tulsi Ghat is dedicated to great saint Tulsi Das who wrote the 'Ram Charit Manas', the Hindi translation of the Ramayana. The Lalita Ghat has a beautiful temple built in carved wood by the late King of Nepal (which is also known as the Nepalese Temple).